There are three major types of car scanner available on the market. They go by many names such as car code reader, car scanner, and car diagnostic tool. In fact, either car owners or professionals can use a car scanner to make their life easier. These tools help diagnose and solve car-related problems. But, what is the best car scanner to buy? We researched and tested different car scanners on the market to pick the best ones for you. Let’s check the reviews NOW!! BAFX is a Bluetooth car code reader that will diagnose problems in your vehicle’s engine and display results quickly. 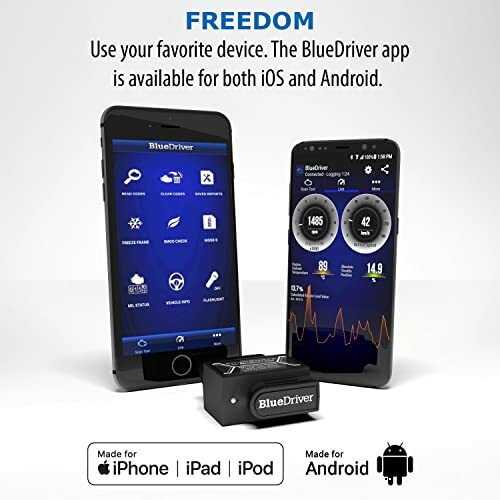 Moreover, due to its ability to connect via Bluetooth, it is considered one of the best car diagnostic tools available on the market. 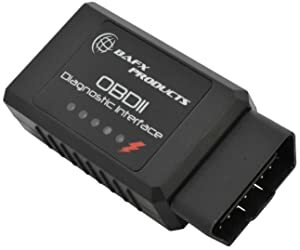 Why Choose BAFX OBDII Car Code Reader? Out of the many car diagnostic tools we reviewed, this one is quite fast in both connectivity and functionality. Moreover, it can diagnose problems such as overheating, engine issues, and sensor problems in real-time. BAFX displays data in a graphics mode which is easy to comprehend. This OBD2 scanner will allow you perform many basic features including air-fuel ratio, fuel pressure, coolant temp, oil temp, CEL fault codes, DPF, emission test, O2 sensors, fuel trim, etc. 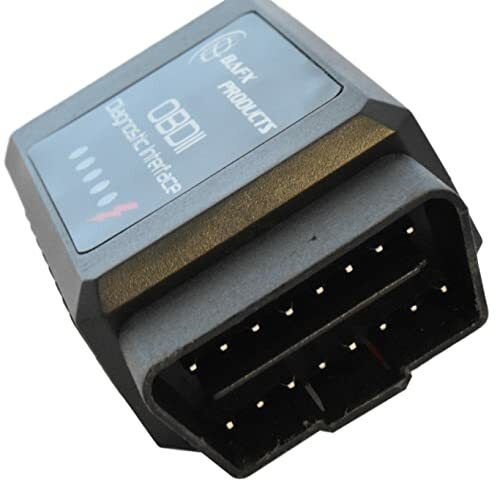 This obd2 code reader can be operated using a smartphone (via Bluetooth). However, it only supports Android and Windows phones. BAFX will work on 1996 and newer models including hybrid cars. It supports all OBDII protocols including CAN & J1850 protocols. The sensor fresh is quick. Works perfectly up to 20 ft range. Doesn’t stay connected for long. No advanced functions such as coding and airbag. Doesn’t support Apple devices, a dedicated app and has a large size. For car owners who want to perform basic functionalities using their phone. 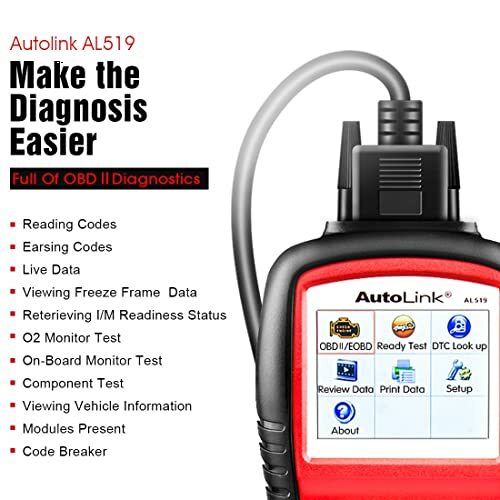 The Autel AL319 may not be the best car code reader as it doesn’t offer many advanced features, however, it’s a good OBD2 code scanner for beginners. It’s a corded plug and play device that’s easy to use. This Autel scan tool lets you perform features such as CEL, Freeze Frame Data, Monitor and I/M Readiness Status (emissions), read live data, display VIN, CIN and CVN. Autel AL319 lets you reset ABS and SRS lights. If you do not like the fact that this obd2 car code reader doesn’t support phone connectivity, you can use the code hearing option. It speaks out the problem code and makes it easy for you. This ease one of the main reasons why it is the best car diagnostic tool for many. This car code reader supports 1996 and newer OBD2 and CAN vehicles. Supports many languages – English, French, German, and Spanish. Bright TFT color screen offers good display. Does not support Bluetooth connectivity, advanced features, and electric cars. Autel AL319 is a good basic code reader for cars that any beginner would love to have. While the jury is out on the efficiency of the ANCEL AD310 scanner, it may only be useful to those with fewer repairs to do. As it turns out, the tool fits the need of those with the necessity of a tool to only read and erase error codes. 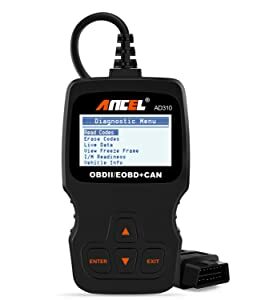 ANCEL AD310 is the best car scanner for money as it’s cheap. However, it has its downsides, too. It’s a plug and play device that is easy to operate. But, it works very fast. ANCEL AD310 lets you read and clear CEL, view freeze frame data, perform I/M Readiness test, and smog test as well. You won’t find the unit very complex as there are only four buttons. Two for entering and exiting, and two for navigation. With ANCEL AD310, you don’t need to search online! This OBD2 scanner will show the code and what the code means directly. This car code reader runs on 1996 and newer US models. Self-charges when plugged in the OBD2 connector. 5 feet insulated cable (long enough to put on the seat). Display issues (resetting the device corrects it). Connection error in brands like Nissan, VW, Ford, and Subaru. Operates only on 16 PIN OBD II protocol. Doesn’t support Bluetooth connectivity, therefore, no phone connectivity. 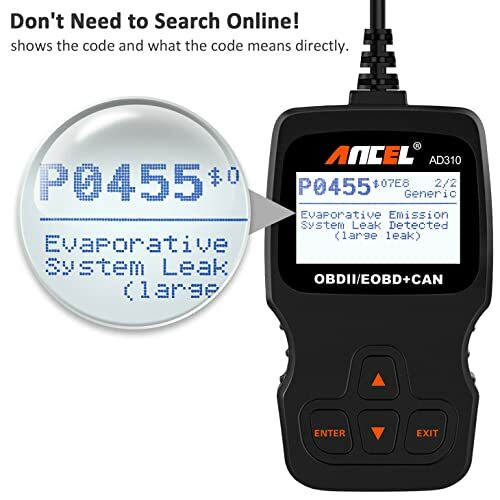 ANCEL AD310 is an excellent obd2 car code reader for entry-level car owners. It offers simple functionality but there’s no phone connectivity. The Autel AL519 is an excellent car scanner to buy that helps cut on mechanic costs by almost half. 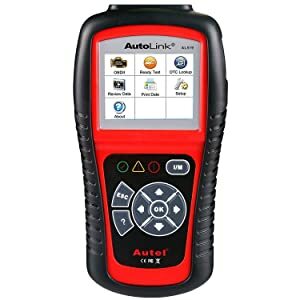 Autel Autolink AL519 is a hand-held car scanner that offers many functionalities and is good for DIYers. With this Autel scan tool, you can perform component tests, O2 sensor tests etc. Why Choose Autel Al519 car scanner? This car diagnostic tool displays code along with the definition of the cause. This eliminates the need to Google the problem. Hence your time is saved, making it the best car diagnostic tool. This car scan tool supports almost all 1996 and newer vehicles (OBDII & CAN) vehicles. This car diagnostic tool is excellent for car owners who want their obd2 readers to perform quickly. It’s the best car diagnostic tool due to the ease it offers. The BlueDriver does everything you’d expect an OBD-II scanner to do. 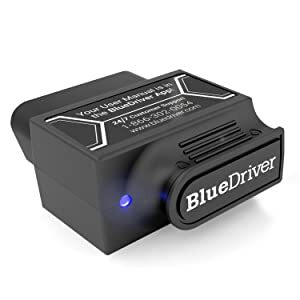 Bluedriver is an excellent car scanner that lets you perform basic and advanced functions. 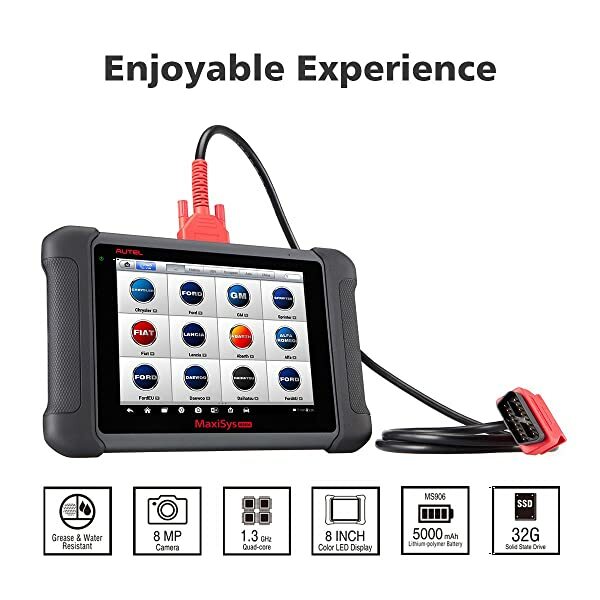 You can connect the device to your phone for ease of use and enjoy what this best car diagnostic tool has to offer. Why Choose BlueDriver Bluetooth Professional? Not many code readers come with a database containing information on 30 million fixes but this one. It will help you diagnose a plethora of problems in a few minutes only. Bluedriver can perform many tests such as Airbag, ABS, Misfire Counts, Fuel System Test, and Comprehensive Components Test. You can customize the dashboard with RPMs, speed, fuel pressure, etc. The BlueDriver app is available for iOS and Android. This Bluetooth car diagnostic tool supports all 1996 and newer GM, BMW, Honda, Ford, Volkswagen, Chrysler and Nissan models sold in North America. The software runs on both iOS and Android devices and is also free to download. Bluedriver also supports major OBDII protocols. Takes a snapshot when a code is stored (Freeze Frame). Helps you solve problems with 6.6 million verified fixes from the scanner. Works very quickly and is easy to use. The app doesn’t work well with laptops (it is meant for phones only). It doesn’t show cam and crank sensor details. Bluedriver is an excellent fit for DIYers because it can conduct many tests and has fast and reliable Bluetooth connectivity. As a result, it’s the best car diagnostic tool for many drivers. 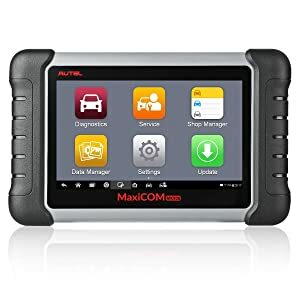 If you are a mechanic shop owner, The Autel MaxiCOM MK808 is great for you as you will be using it a lot. MK808 is one of the best professional car diagnostic tools because it aids in identifying complex car issues. This 7-inch diagnostic tablet works on polymer battery (4.5 hours non stop running) which comes included. All in all, it makes diagnosing fun and easy. Why Choose Autel Maxicom MK808? Besides reading simple problems, this car diagnostic tool offers many advanced features, too. These include Oil reset, BMS, EPB, SAS, DPF, ABS, TPMS, and Key Programming. Autel MK808 allows you to manage, save, print and send data easily because of its 32 GB memory. With this car diagnostic scanner, you can perform SRS tests, fuel system diagnosis, wiper system, light systems, emission tests, and ABS light test. Autel MK808 can diagnose All Systems of your vehicles, perform All-Service Functions and offers full-OBD2 Modes. 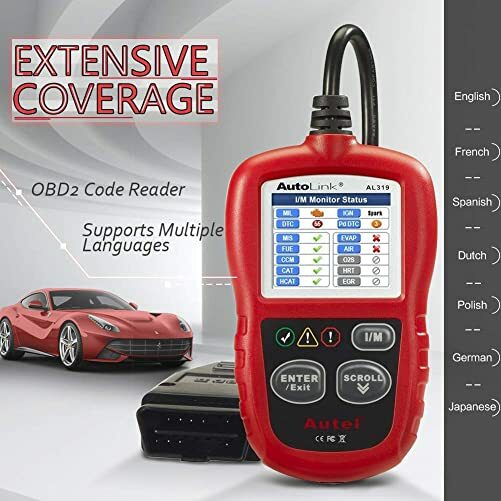 Autel MK808 works well on most 1996 US-based and 2000 EU based obd2 compliant vehicles including Audi, Benz, Efurd, Acura, AUFord, Bentley, BMW, Bugatti, Chrysler, Ford, Chevrolet, Holden, GM, Honda, Isuzu, Hyundai, Infiniti, Jaguar, and KIA. It supports all major PIDs and works and works on Android 4.4.4. Fast processing with the A9 processor. Technology support from Autel tech team. Updates have to be bought after the first 12 months. 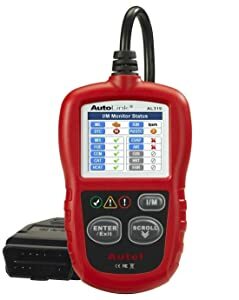 The Autel MK808 is one of the best professional car diagnostic tools on the market and can be used by not just DIY lovers but professionals as well as it covers a wide range of functions and supports all major cars. Autel Maxisys MS906 is an upgraded version of DS708/DS808. This car diagnostic tool allows you to perform more advanced functions without costing you and an arm and a leg. Autel Maxisys MS906 performs all the OBD2 functions. The scanner is able to make a quick connection with an onboard computer. It also can retrieve DTCs. This is because it uses an Exynos 5260 6 core processor that is extremely fast. As a result, you can read and clear diagnostic trouble codes for basic and advanced functions with a single touch of a button. This scanner also supports actuation tests, live data view, full-screen waveform, and adaptations. Besides, the multiple data retrieval and analysis methods will help you to perform better diagnosis and repairs. Furthermore, you will be able to use this scanner for the transmission ECU reset and EPS reset functions. The scanner can also clear ABS/SRS, SAS, and Engine diagnostic trouble codes. In order to accurately scan your vehicle with Autel Maxisys MS906, the scanner needs to identify your vehicle first. Luckily, the scanner has a built-in autoVIN technology. It can instantly identify the model of your car. Your vehicle has to be identified first. Then the scanner optimizes the software that is compatible with your model. As a result, you will be able to retrieve accurate information and make complete diagnosis and repairs. You can go ahead and perform various functions such as TPMS relearn and actuation. If you have an auto-shop then one-stop multitasking feature will come handy for you. The workshop management feature allows you to access all your repair work from a single point. Therefore, it helps you to stay organized and prioritize diagnostic and repair task. As a result, your efficiency and effectiveness will significantly improve. This feature is closely used with the Autel support platforms. So that you will be able to perform even the seemingly difficult repair effortlessly. Moreover, the support platforms will avail hundreds of diagnostic and repair options for you. Better still, you will be connected with other professional techs who will offer advice on diagnostic and repair functions. Autel Maxisys MS906 is compatible with OBD2 compliant vehicles. It can scan and retrieve codes from the US, European, and Asian models. Can accurately read and clear basic and advanced functions. Has a highly effective support system. Support printing as it can connect to a PC. It is large and not easy to carry around. 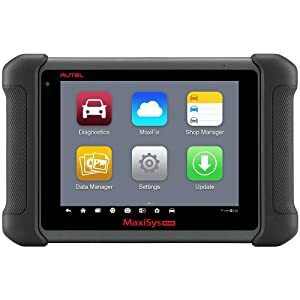 In summary, this Autel Maxisys MS906 Professional Car Diagnostic Scanner is primarily built for professional techs. If you own a mechanic shop then this scanner can increase your diagnostic capabilities. From the car diagnostic tool reviews, what is the best one to buy? Now, have a look at the comparison chart below for the top 3 picks of car diagnostic tools recommended in 2019. Besides offering basic functionalities, some of the car diagnostic tools mentioned above may also help you perform advanced functions such as ABS, SRS, ECU coding & Programming, DPF, EPB, oil reset, steering angle sensor test, battery reset, BMS, SAS, injector programming, IMMO, TPMS, air conditioner module controlling, and throttle matching. All the car scan tools mentioned in this review are excellent. Why don’t you pick one?